Day Two of the Handcrafted Soapmaker’s Guild Annual Conference was packed, packed, packed with an incredible line up of speakers. Robert Tisserand entertained and educated at the same time with a great talk about essential oils. He had us in stitches with his sense of humor. My big take away for me from his talk was that ALL essential oils should be refrigerated (so quick, go make room in your fridge!). Kayla Fioravanti talked about Essential Wholesale’s growth from inception to where they are today. She told hilarious (honest) stories of the early years, making everyone in the group feel better about how their businesses have grown (haphazardly!). My big takeaway from her talk was that small businesses are at an ADVANTAGE compared to big businesses because we can tell stories that connect with the customer; we can share our passion; we have a face. The ‘big guys’ can’t connect with customers in the same way that we can as nimble small businesses. 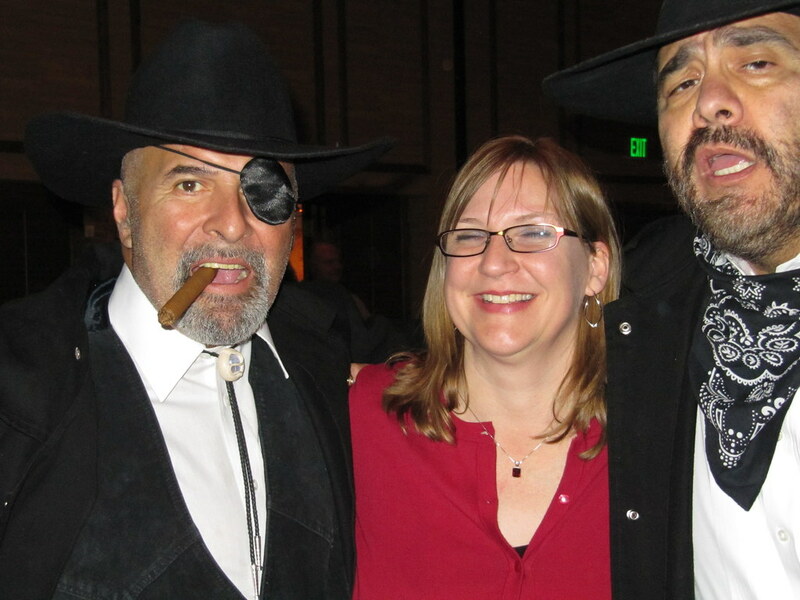 Then it was off to the Essential Wholesale Wild West Party. For the second year in a row, they sponsored the evening’s activities – from a Wild West Improv party to a comedian to a great dessert table, open bar and full wild west buffet. The evening was full of laughter, camaraderie and yes, even a conga line. 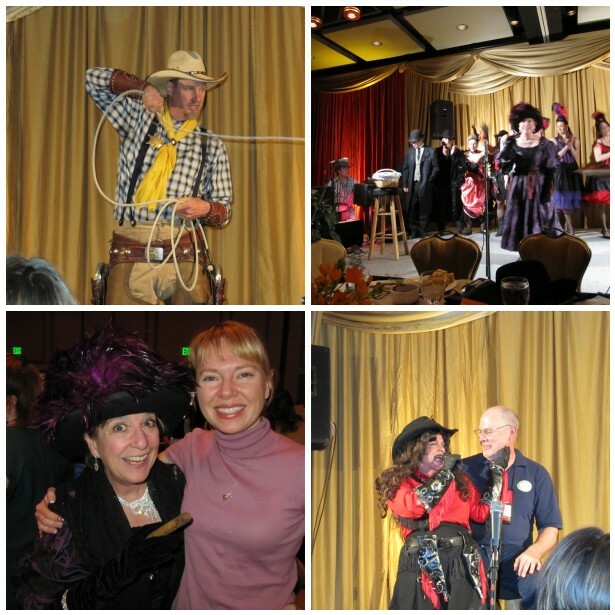 I’ve uploaded even more photos (and even a few videos from the Wild West party) to my Flick account here or the Soap Guild Conference page is here with full photos. Tonight is the big awards night where they announce the the location of the next Conference and give us all an excuse to dress up a little. Previous Post: You Are the Media! GO! Great conference pics Anne-Marie. It was a great time and I enjoyed your class too! Can’t wait to start applying some of the tips I’ve learned. I used to keep essential oils in my refrig but they’ve been displaced by hydrosols. Guess I need a large wall unit. I know! I was very surprised when he said ALL essential oils in the fridge. The entire conference all started writing that tidbit down, en masse, the second he said it. Sounds like this conference was not only informative but quite fun! Thanks for sharing. Frig the essential oil ~ will do! Sure looks like you had a blast!